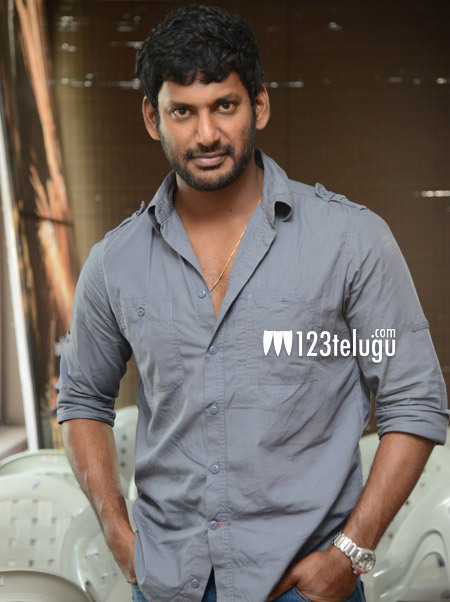 Telugu boy Vishal is one of the popular mass heroes in Tamil film industry. The actor has just scored a decent hit with his latest rural action drama, Marudhu. The film’s Telugu version, Rayudu, is slated to hit the screens in Telugu states on May 28 amid decent expectations. According to the latest update, Vishal’s long delayed Tamil mass comedy entertainer Madha Gaja Raja is finally releasing on June 10, within less than a couple of weeks from Rayudu’s release. The film will have a simultaneous Telugu release. Anjali and Varalakshmi Sarathkumar will be seen as Vishal’s love interests in the film.